22 Oct 2018 --- The Döhler Group is to acquire a majority stake in Nutrafood S.r.l., in a move the company says marks a “milestone” toward achieving a leading position in the plant-based nutrition segment. Nutrafood's portfolio complements Döhler’s range in the area of plant-based food and beverages, where the company currently provides solutions in categories ranging from smoothies to spoonables. Nutrafood's capabilities to provide nut products and other plant-based ingredients for food and beverages are to supplement the Döhler Group's portfolio of pulses, cereal bases and low-calorie bases, including veggie NFCs and coconut water. 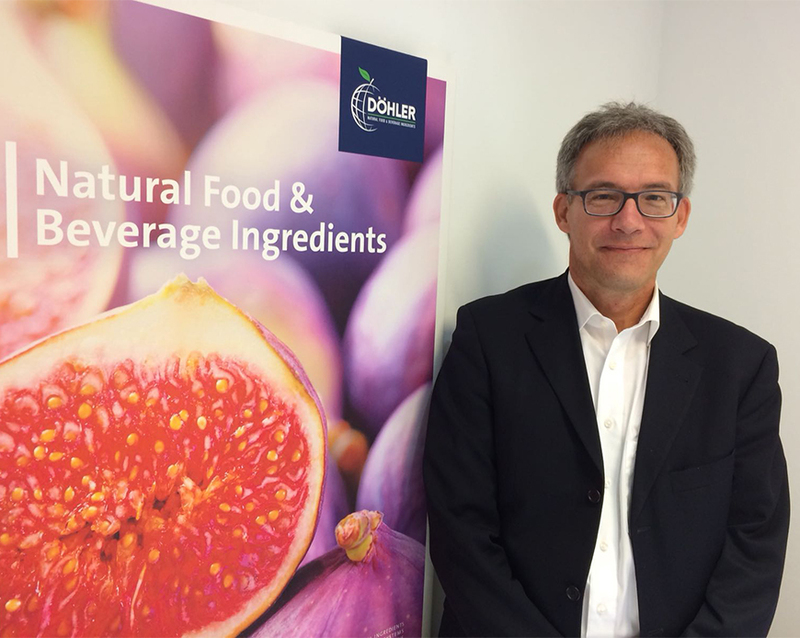 In an interview with FoodIngredientsFirst at SIAL 2018 in Paris, Döhler’s Head of Business Unit Cereal & Dairy, René Krebs, talks about the significance of expanding in the nuts space and what the acquisition might mean for future NPD. “Döhler has the philosophy to understand raw material and technology. Nuts derivatives are an interesting raw material, for example, pistachios, almonds. The rationale behind this [deal] was to get an understanding and access [in this space]. The combination of Nutrafoods and Döhler is two things: Döhler can apply and formulate products, understanding the overall supply chain model, while Nutrafoods has a long history in understanding nuts. The family was already in the marzipan business and now in the almond business, and they are super with different derivatives of nuts to help us create solutions,” he says. “We will be even stronger in the current market and will be able to offer more tailor-made solutions based on different raw materials for clients,” he says. The companies report that customers will be able to benefit from a more complete product range and improved efficiency of the two businesses in a global market in terms of customized all-in-one solutions. “There is a lot of almond milk potential today. If you look in North America, for example, the dominating raw material is almond and what you currently see in the market is milk alternatives such as those from Blue Diamond in the UK, or there are other ones. What you see in the coffee business is that people take an almond base and blend it with coffee,” adds Krebs. Speaking about plant-based NPD and the different types of nuts that Nutrafoods produces, Krebs cites almonds, pistachios, hazelnuts, peanuts and the lesser known tiger nuts. Milk-based beverages and spoonables will be the main areas of focus following the acquisition. The strategic partnership closely follows the Döhler Group and Passina reaching an agreement on the acquisition of Concentra Europe BV (more commonly known in the industry under the “Passina” brand), earlier this month. The move means that the Döhler Group will be the owner of Passina's Dutch and German subsidiaries, as Passina refocuses on its core passion fruit business. No financial details of the deal have been disclosed and the proposed transaction has now been filed with the relevant antitrust authorities and is subject to the usual approvals. At SIAL, Döhler is presenting ingredients, ingredient systems and integrated solutions which reflect the core topics of naturalness, plant-based nutrition and multi-sensory experiences. Chocolate creations, ice cream compositions based on coconut, natural reduced-sugar soft drinks, cold brew coffee, healthy juices and smoothies or premium-quality tea drinks with botanical extracts are among the solutions. Döhler has sought to develop a wide variety of applications for all food and beverage categories that meet the individual lifestyles of consumers and offer a balanced nutritional profile. The basis for the concepts is a comprehensive portfolio of natural ingredients such as natural flavors, natural colors, health ingredients, pulses & cereal ingredients, dairy & plant-based ingredients, fermented ingredients, dry fruit & vegetable ingredients, fruit & vegetable ingredients and ingredient systems, as well as a diverse range of certified organic ingredients. Döhler is also showcasing a spoonable unbaked cookie dough, enriched with brown flavors and malt extracts. In addition, a new cake creation, “Naked Cake Mango”, features a high-quality fruit preparation, natural flavors and an unmistakably fruity mango taste. 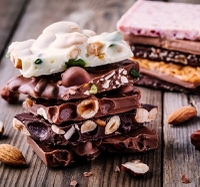 When it comes to unique chocolate creations, Döhler offers a wide range of natural and premium ingredients in the form of crunchy fruit pieces, creamy nut purees or traditional and innovative fruit preparations. Using fruit powders to create natural coloring and tasty “chunky inclusions,” these chocolate creations turn into a true indulgence for all the senses. Experiences" with healthy added value at SIAL 2018, Paris. Döhler will also present product ideas for beverages based on the best and natural ingredients for unmistakable taste experiences. Smoothies have been innovation drivers in the beverage aisle for many years, however, they are no longer only about puréed fruit. The new generation of smoothies offers a lot more than just pure nutrients, with their sensory properties also part of the impressive package. Tropical fruits, such as goldenberry and guava, add a fresh and fruity taste, chia and flax seeds create an extra-crunchy mouthfeel, while turmeric provides a highly natural shiny color, the company reports. Döhler is also presenting its extensive portfolio of adult soft drinks which are specifically tailored to the consumer requirements of the 25+ age group. These include brewed sodas and kombucha with reduced sweetness and extraordinary flavors. Foods and beverages with an optimized nutritional value that are in line with a modern, healthy lifestyle are what many consumers want. 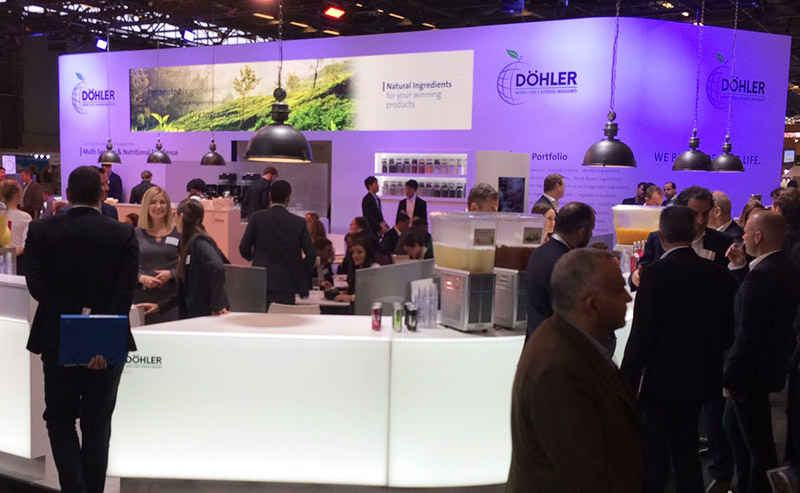 Döhler is also showcasing new beverage concepts featuring healthy added-value and fewer calories, ranging from innovative energy drinks to premium reduced-sugar lemonades and reduced-calorie fruit and vegetable juices. The company will also introduce its new range of MultiSense Flavours in addition to numerous sweetening solutions that enable the reduction of sugar content by up to 100 percent. The MultiSense Flavours range can be used to achieve significant sugar reduction without having to use sweeteners or to significantly improve the taste and mouthfeel of reduced-sugar products. MultiSense Flavors create a balanced overall impression for soft drinks and dairy-based beverages and are therefore perfect for a broad range of products. Döhler offers its customers a comprehensive portfolio of high-quality botanical plant extracts and full spectrum powders which provide health-promoting additional benefits, unlock unique taste experiences and are 100 percent natural. The portfolio includes African extracts from baobab, moringa leaves and honeybush. Thanks to state-of-the-art processing technology, it is possible to use botanic ingredients in a wide range of applications, from clear, near-water beverages, such as Aqua Plus, up to full-bodied yogurts or food products, such as cereal bars. Döhler also offers plant-based proteins, such as pea and rice protein blends. Thanks to the use of proteins from high-quality raw materials, supported by natural flavor compositions, the company says the end products – from cereal bars to snack drinks – are characterized by outstanding multi-sensory properties.